We’ll try anything if it’s fried! Just because it’s called Musicfest doesn’t mean that music is all we have to offer. Come early and stay late for vendors, shopping, food and fun. Grab a map from the link below to find your way around the square. Bring the kids and have a blast! Musicfest has got the jams…and the jellies too! If you are interested in selling loads of Americana at Musicfest El Dorado, simply Click the following links to fill out a MUSICFEST ARTS & CRAFTS VENDOR SIGN-UP FORM, or a FOOD VENDOR SIGN UP FORM. Space is limited, so act fast! It's back!!! Get your run on at the Medical Center of South Arkansas MusicFest 5k and 10k run/walk! The race will be held on Saturday morning during MusicFest weekend in downtown El Dorado, AR. on washington st. ALL FREE!!! El Dorado Municipal Auditorium, 100 W 8th St.
Sunday, October 14th at 2:00 pm- ALL Contestants MUST be checked in by 1:30 pm!!! Day-Of entries accepted 10:00am-11:00am-in the Municipal Auditorium foyer- 100 W 8th St. Deadline is Tuesday, Oct 9. Fee will be $60 after Oct 9, and no discounts for multiples. Outfit of Choice (OOC) $15- Music Theme- Optional entry- Side awards will be judged during this portion. You DO NOT have to enter this portion, however, if you do not, you will not be considered for Best Hair, Best Fashion, or Best Personality! You can do a walk or routine, music can be provided, or if you wish to have a specific song, it must be approved by Oct 9. Divisions for OOC are same as Beauty. Photogenic $5.00 per photo, Optional entry-enter as many photos as you wish (photos accepted ONLY on Oct 14) Photos MUST be in clear plastic with child name on the back! Sizes 5x7 and 8x10 accepted, glam and regular pics accepted. Or visit the office at 101 W Main, Suite 410. " Registration forms also available at both Cole's Jewelers locations! In addition to dozens of world famous musical artists, MusicFest features a host of attractions and events to create an incredible weekend for the entire family! Here are just a few of our exciting, family- friendly attractions going on in the LANXESS KIDS WORLD around all the great music. Check back often as new events are being added! Want to enjoy the bands and not worry about your kids getting lost in the crowd? Victory Church of El Dorado is providing child care so you can feel free to rock out worry free. Food, Drinks and snacks provided plus an indoor playground, inflatables, games, and crafts! A Super FUN and Safe night for your Kids! Only a limited number of children can participate! Saturday ONLY: Unlimited access attraction wristband available for $20.00. You can purchase this wristband at the corner of Elm/Washington Street during Music Fest, or pre-purchase the wristbands at the Main Street El Dorado office located at 101 W Main, Suite 410. Ferris Wheel, Merry-Go-Round and Motorcyle-Go-Round will be $4 per entry each day. $1000 1st place ADULT WITH EXTRAS!!! $150 1ST PLACE KIDS WITH EXTRAS!!! * Adults will play at 20 feet, Kids will play at 15 feet. * Vulgar language, mocking, heckling, etc. will NOT be tolerated. You will be asked to leave the premise with no refund and will forfeit your tournament position. online registration now closed: register on Saturday in front of first financial bank @ 12pm. in the event of rain, we will move inside the union county courthouse on washington street. From beginners to masters...don’t miss this exhibition of Dutch Oven Groups gathering together to cook, swap recipes and promote the art of Camp Dutch Oven cooking. Dutch Oven cooking is on the rise. Pots on the table at 1:00pm for those who participate in the cooking experience. Tour begins in Historic Downtown El Dorado and will include selections from the Historic Downtown Walking Tour, which originally has 16 locations. 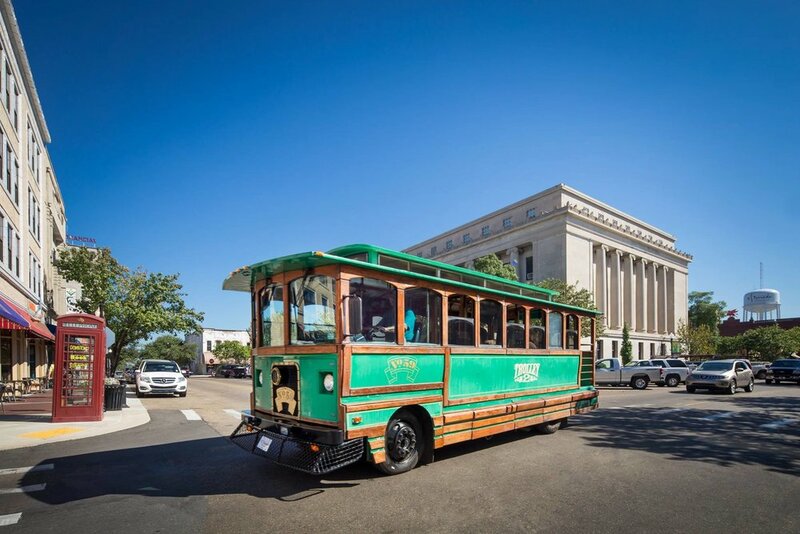 The tour will then take the Trolley to 4, offsite locations TBA. Tropical Shaved Ice- Build your own flavors!